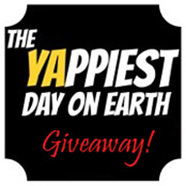 The 10th YAppiest Giveaway! 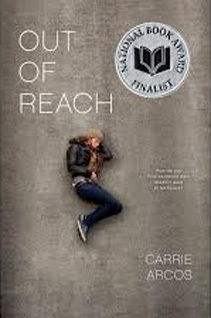 is for Out of Reach, by Carrie Arcos. This book blew me away, and I know it will do the same to you. This is the 10th YAppiest Giveaway! For a chance to win a FREE copy of this book, see the “Here’s How” section below. For a complete list of upcoming giveaways, go here. How do you find someone who doesn’t want to be found? Rachel learned how to lie by watching her older brother Micah. She idolized him, and they had an unspoken pact. They lied for each other. The truth about lying is that it always catches up with you. That’s when reality hits and Rachel’s terrified. She feels responsible. For lying to her parents. For not confronting Micah about his using. She wishes that she’d listened to Micah when he tried to confide in her. So when she receives an anonymous note telling her that Micah is in serious danger, she jumps at the chance to make things right. Rachel reaches out to Micah’s best friend Tyler, and with nothing more than a slim lead and a lot of hope, they set out to find him. Along the way Rachel must confront her own dark secrets, her growing attraction to Tyler, and the reality that Micah isn’t going to come home until he’s ready. I don’t make this statement that lightly. It comes from my own personal experience with a relative who was an addict. This story tackles the sad topic of drug abuse with honesty and candor. An issue that many teens deal with, but are afraid to talk about. If there’s a teen who doesn’t know an addict, they are certain to have a friend who does. Reading this story can help anyone better understand what the friend or relative of an addict is going through. Rachel feels responsible for what happened to Micah, and that she can save him. Through the course of her search on her road trip to San Diego with Trevor, Rachel finally sees that her bother’s situation is not her fault and it’s not her job to save Micah from himself. The power of this story is in its honesty. But as gritty as the topic of drug abuse is, this story doesn’t use it as an excuse for gratuitous violence. Rachel gets a view of the drug world into which her brother descended, but she remains a safe witness with the protection of Tyler and his friends. Leave a comment on this blog–explaining WHY you want to read this book— by midnight, September 7th (1 entry). I’ll tally the entries and choose a winner, then announce it on this blog on Monday, September 9th. Good luck!